So leave your money where it is until you talk to a loan officer. Also, don’t change banks. For most people, changing employers will not really affect your ability to qualify for a mortgage loan, especially if you are going to be earning more money. For some home-buyers, however, the effects of changing jobs can be disastrous to your loan application. Hourly Employees – If your income is based on hourly wages and you work a straight forty hours a week without over-time, changing jobs should not create any problems. Commissioned Employees – If a substantial portion of your income is derived from commissions, you should not change jobs before buying a home. This has to do with how mortgage lenders calculate your income. They average your commissions over the last two years. Self-Employment – If you are considering a change to self-employment before buying a new home, don’t do it. Buy the home first. If you have a house to sell, sell it before selecting a house to buy! Contingency sales aren’t nearly as strong as one that comes in with a ready, willing and able buyer. When an individual’s income starts growing and they manage to set aside some savings, they commonly experience what may be considered an innate instinct of modern civilized mankind. The desire to spend money. 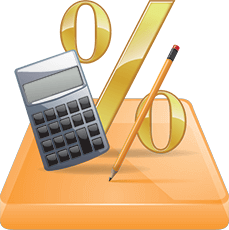 When determining your ability to qualify for a mortgage, a lender looks at what is called your “debt-to-income” ratio. A debt-to-income ratio is the percentage of your gross monthly income (before taxes) that you spend on debt. This will include your monthly housing costs, including principal, interest, taxes, insurance, and homeowner’s association fees, if any. It will also include your monthly consumer debt, including credit cards, student loans, installment debt, and car payments.